Carol Mailer has regularly contributed articles on jumping and gridwork to Your Horse magazine and has written a total of 4 books. Her latest book Foolproof Jumping Exercises has recently been released and is available from all good book shops. 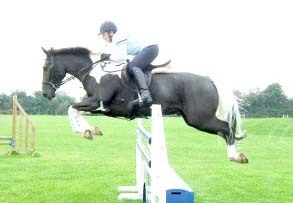 Carol has successfully competed, and has for more than 40 years trained horses and riders of all abilities. During that time she tried all the various training aids that had been produced. She found some worked for a while, some didn’t work at all and the others were so complicated that you needed an expert to adjust them correctly. Carol’s Bridging rein is different, it is so simple, yet it has made a vast and immediate improvement to every rider who has used it. It is definitely not a gadget. You are always holding the rein as normal, and there is no restraining action on the horse.